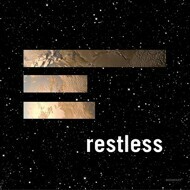 Restless will be the duo's sixth LP, and their second for Kompakt following 2012's Hotel Amour. The album brings together ten "excitingly straightforward house bangers," with various vocalists contributing to six of the tracks. Longtime collaborator Cath Coffey features, as do Stereo MCs, Brooklyn singer Mandel Turner and Denmark's Lydmor.